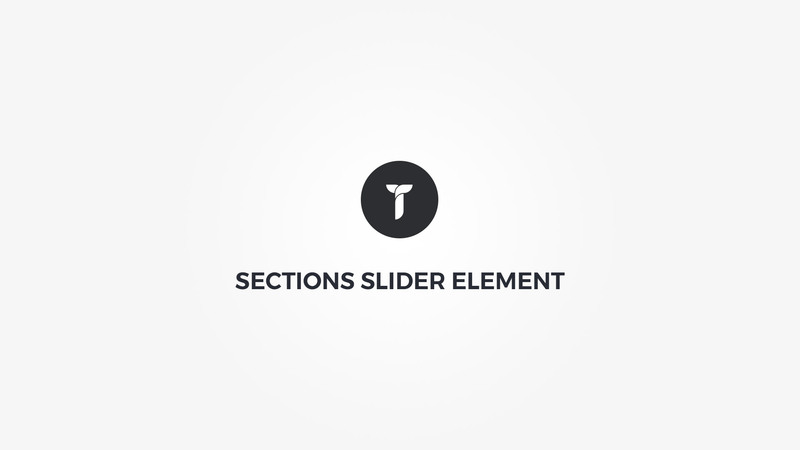 Sections Slider element will display any page builder section and it's contents as a responsive slider. Slider settings - Adjust section slider settings. Speed: Slide animation speed Auto slide: If set to Yes, slider will start on page load. Auto time: Time till next slide transition Infinite: If set to Yes, slides will loop infinitely. Fade: If yes slides will fade in/out instead of sliding. Slider box style - Adjust .thz-section-slider-holder box style. Arrows metrics - Adjust slider navigation arrows colors, shape and size. Scroll fade - This option adds fade effect on scroll to the HTML container or the container content.